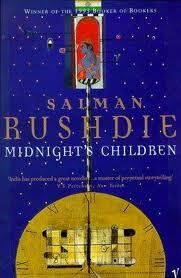 I was recently reminded of Salmon Rushdie’s book Midnight’s Children. It tells the story of Saleem who was born at the exact moment when India gained its independence. It is considered one of the great works of post colonial writing and of Magical realism. I was reminded of it when we were studying post modern film this year. Many of the characteristics of a postmodern narrative are also used in this novel. Just like the film Good Bye Lenin! by Wolfgang Becker the story in Midnight’s Children mirrors the real events of what is taking place in India. I wanted to take a look at these two texts in order to show their similarities and to also show the elements of postmodernism in both of these texts. This entry was posted in Uncategorized and tagged Good Bye Lenin, Magical Realism, Metafiction, Midnight's Children, Postmodern film, Postmodernism, Salman Rushdie, Wolfgang Becker. Bookmark the permalink.